With his Formula 1 career now at its potential end, Fernando Alonso heads into 2019 with a fresh focus and a lot more available free time. The two-time World Champion assembled an incredibly busy 2018 season. In parallel programs, he raced in all 21 Formula 1 races and the first five events of the 2018-’19 FIA World Endurance Championship “Super Season.” That made 26 of his 27 race starts. Before all of that though, flashing back 12 months ago, Alonso was a sports car rookie at the Rolex 24 at Daytona. He shared a United Autosports-entered Ligier JS P217 LMP2 car with two young chargers in Lando Norris and Phil Hanson. Alonso’s 2019 slate isn’t nearly as crowded. With not even a quarter of his 2018 weekends scheduled – for now – Alonso begins the new racing season with sports cars his primary focus and a second crack at the Indianapolis 500 set for May. All told, he has only five confirmed races. He’ll start at Daytona in his lone scheduled IMSA appearance. Then he’ll race the remaining three FIA WEC races at Sebring, Spa and Le Mans, with Indianapolis squeezed in-between the latter two. 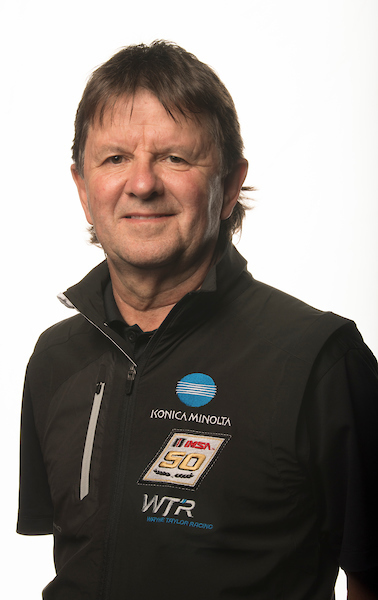 He returns to Daytona this year with one of the top teams in the series, Wayne Taylor Racing, driving the No. 10 Konica Minolta Cadillac DPi-V.R. He’ll share the car with its full season drivers, Jordan Taylor and Renger van der Zande, and his Toyota FIA WEC teammate Kamui Kobayashi. Alonso is relishing this situation, both in terms of his new team and the North American racing environment. “I think I’m in a much better position this year than last year,” Alonso said during the ROAR Before the Rolex 24 test. 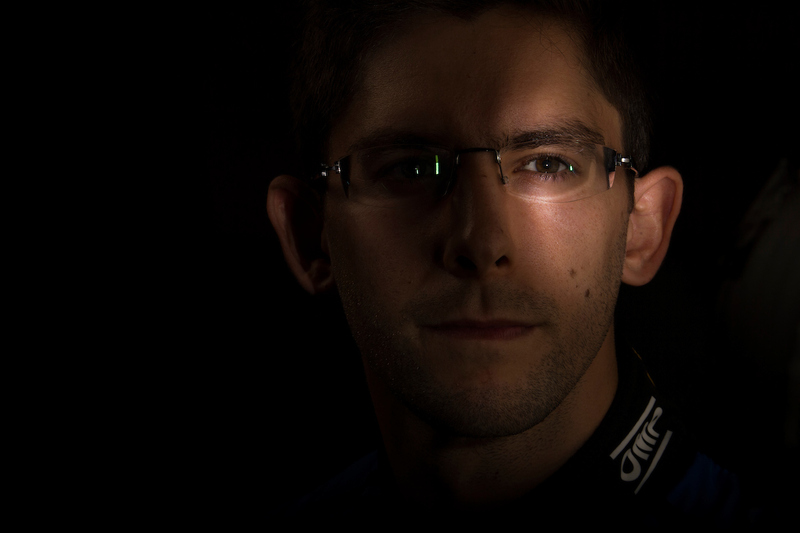 “Last year this was the first endurance race of my life, and experience. For Wayne Taylor, the seeds of bringing Alonso in were sown at last year’s Rolex 24. “Last year Zak Brown introduced me to Fernando here at Daytona. But we didn’t discuss anything going forward,” Wayne Taylor recalled, during a press conference when the team also confirmed AMETEK Electronic Systems Protection and CIT as new partners. Last year, Alonso had to learn everything about sports car racing in anticipation of his FIA WEC debut. 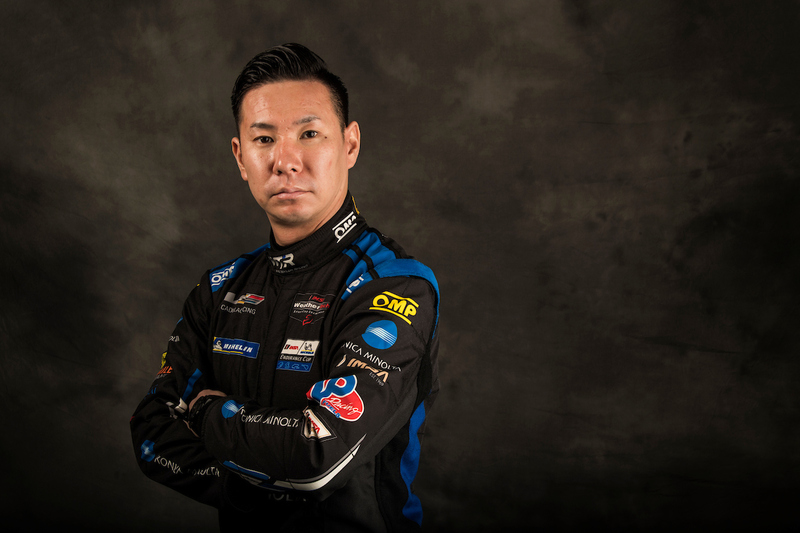 His Toyota Gazoo Racing program was not formally announced until after the Rolex 24 at Daytona. This meant he had to adapt to racing with multiple drivers, learning the nuances of driver changes, traffic management, and racing at night. “It’s a different philosophy of racing,” he explained. “In Formula 1, it’s all about qualifying, the start and the first corner. Here it is about consistency, traffic management, and keeping it alive for a couple hours. It’s such a different approach to racing. Alonso wasn’t lacking in confidence in 2018, but the way the then-combined Prototype class was structured, LMP2 cars were not quite on par performance-wise with the Daytona Prototype international (DPi) cars. In a DPi now, and with a team that won here two years ago, he’s more assured of their win potential. “I was confident last year and still am now,” he said. “But the environment and team they have here in the past, with how professional they are, how they approach every session. That makes me more confident. I’m in a more competitive environment this year. Crucially though, Alonso is not afraid to have fun in this experience. Nor is his team afraid to have fun with him. As one of IMSA’s most visible figures on social media, Jordan Taylor “introduced” Alonso to the team with an “interview” that combined his questions with Alonso’s past comments in Formula 1 interviews. “I hadn’t met him (until the ROAR)… but I made that really weird interview with him,” Jordan laughed. “Thankfully he found it funny. Jordan Taylor’s words proved prescient. During the ROAR test, Alonso dressed as Jordan’s alter-ego “Rodney Sandstorm,” resplendent with the DuPont jacket while standing next to Kobayashi. The video, naturally, was one of the bigger social media hits of the ROAR test. The humor was also present during the quartet’s press conference when Alonso received most of the questions, leaving a bemused Taylor, van der Zande and Kobayashi wondering when they’d get asked any. Veteran reporter Holly Cain broke the ice and “went rogue” when asking the other three how they fancied their chances. 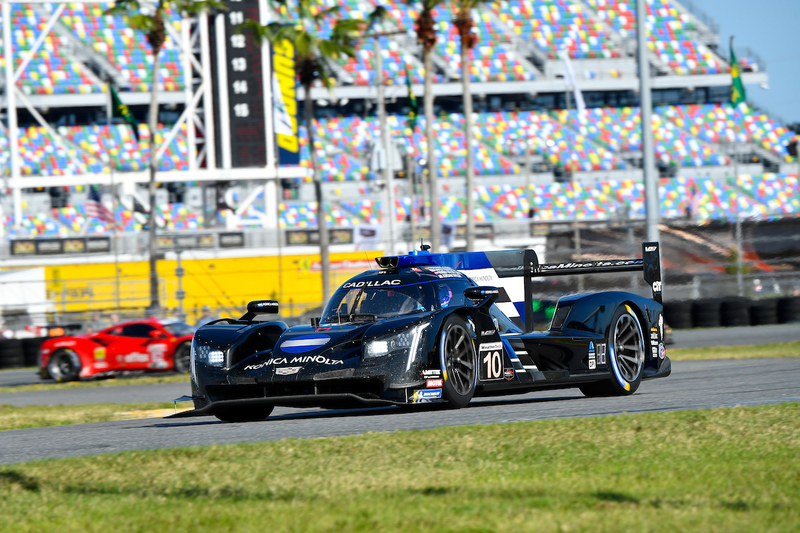 The fun is a big part of the team’s plans for the Rolex 24. The team’s car was also featured at the Michelin display at the North American International Auto Show. Ultimately, winning is the goal for 2019. 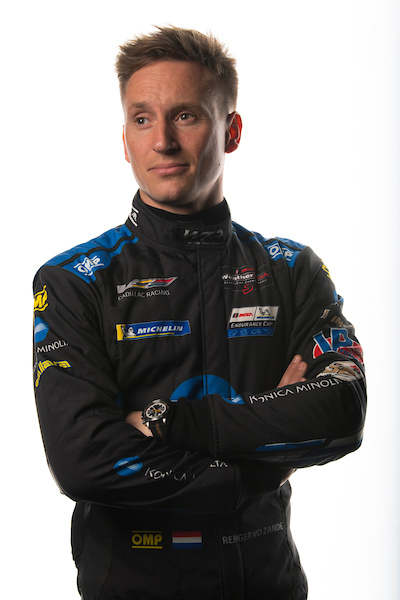 Van der Zande took pole position but the team had to retire overnight. The team enters this race hot off winning the 2018 season finale at Motul Petit Le Mans. There, van der Zande made an incredible last lap pass. In Alonso’s case, he now has the chance to hold both the 24 Hours of Le Mans and Rolex 24 at Daytona titles concurrently, both racing with Michelin tires. And it’s both his and Kobayashi’s experience with Michelin’s LMP1 tires in the FIA WEC that Taylor feels will aid them in the first race for Michelin in IMSA’s DPi class. For Alonso, the mindset is different, but the enjoyment of the experience remains the same. “Last year, it was a preparation for the 24 Hours of Le Mans. This year, it is about winning,” he said.